Lead optimization is a critical process that culminates in the identification of a preclinical candidate. The most promising hit series, once they are identified through hit-to-lead efforts, advance into the lead optimization stage of drug discovery. The goal of this stage is to extensively optimize, in parallel, both the biological activity and the properties of the lead series, through a dedicated screening funnel of both in vitro and in vivo assays. Screening assays are also designed to evaluate the physiochemical properties to identify the best compound to be formulated and dosed. Rigorous and critical data must be generated in a precise, timely manner to quickly evaluate and progress the compounds, and the series, toward the ideal candidate profile. The higher the quality of preclinical candidates, the higher the likelihood of a successful progression into clinical development. Our team’s extensive history of successful drug discovery, having discovered and put on the market first-in-class and best-in-class drugs, as well as having discovered several other agents in clinical trials, is reflected in our approach to lead optimization. An integrated team of chemists, pharmacologists, and ADME/DMPK scientists carefully design the screening funnel to fulfill the requirements of the preclinical candidate. They develop unique strategies to speed up the process, minimizing the required number of assays, with clear go/no-go decision for the development of the series, focusing on the critical properties which need additional optimization efforts. Our state-of-the-art facilities provide your program with an ever-expanding toolbox to deploy in order to generate superior preclinical candidates. Compounds entering the lead optimization phase are evaluated by our integrated team, and a strategy is designed to optimize their properties. Involving both in vitro and in vivo assessments of lead properties, the team uses our collaborative approach to ensure full alignment, and prioritization or deprioritization of lead series as needed. The process benefits from the support of dedicated facilities. 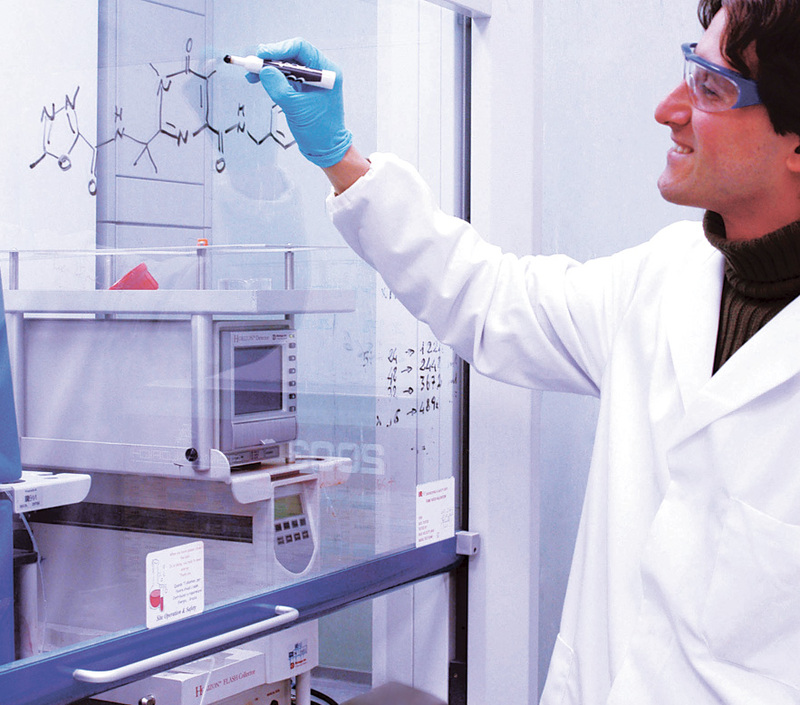 They include screening technologies to run the primary and secondary assays; molecular modelling to support the design of new molecules and calculate physicochemical properties; and NMR to structurally characterize large peptide mimetic or macrocycles, or study target/ligand interaction. This support ensures a thorough understanding of structure-activity relationships (SAR). A highly skilled DMPK team for the in vitro/in vivo characterisation of the compounds, providing valuable information on PK, PK/PD correlations, as well as predictions of human dosage. Working with us means benefiting from our state-of-the-art facilities, our team’s broad expertise, and the experience maturated over the course of dozens of successful programs. Our approach, which has led to the generation of ground-breaking drugs now on the market, means your lead optimization phase can proceed quickly and effectively. At its end, we can deliver excellent preclinical candidates, enabling your program to advance into the clinic with confidence.